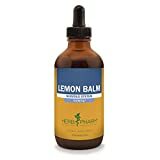 Lemon balm is also known as Melissa officinalis and by the folk names Bee Balm, Melissa, Heart’s Delight, Dropsy Plant, Balm, and Paracelsus named it “Elixir of Life”. It is used in traditional medicine to treat a number of health concerns. The list of lemon balm benefits and reasons to love it is practically endless. This herb is a member of the mint family. Its antimicrobial and antiviral properties are only some of the lemon balm benefits. In the Middle Ages, this calming herb was used for reducing stress and anxiety, promoting better sleep, improving appetite, and relieving pain from indigestion. Since ancient times, it’s been used for lifting one’s mood, treating insect bites and stings and helping heal wounds quicker. Bees love it, it’s their favorite flower. Actually, its name comes from the Latin melisso phyllum, which means, “honey bee”. Officinalis is the species name which means that it has long been used by apothecaries. Lemon balm is one the few herbs that at the same time has a pleasant scent, healing, and aromatic properties, can be used as a spice or for decorations, has an industrial use and makes honey. If that’s not enough to inspire you to grow it, here is more about lemon balm benefits that will surely do the trick. The above-ground part of the plant is used as an antidepressant, antibacterial, anti-inflammatory, antihistamine, antioxidant, antiviral, antispasmodic, carminative, sedative, digestive, aromatic, parturient, cephalic, hypotensive, diaphoretic, febrifuge, cholagogue, emmenagogue, neuro-protective, nervine, rejuvenative, stomachic, vasodilator, and tonic. It also cleans the liver, calms the heart, clears heat, lifts the spirit and improves chi circulation. In Germany, lemon balm tea is licensed as a medicinal tea for treating sleep disorders and gastrointestinal tract disorders. German researchers have determined that the consumption of lemon balm products can be useful in getting better sleep. The experts say that it produces deep and peaceful sleep among those who consume it every day. For the best results, it is recommended is to consume it 30 to 60 minutes before bedtime. To reap the anxiety and stress reducing benefits of this amazing plant, simply take some fresh leaves, finely chop them and then put them in boiling water. After 10-15 minutes, strain the liquid, leave it to cool a bit, and then slowly sip. Another option is to use this plant is by rubbing its leaves on your skin. The oil will seep into the bloodstream, causing a relaxing effect. The natural compounds in the leaves can boost energy and alertness. Therefore, lemon balm can be especially beneficial when one needs to concentrate on a work project or big exam. The researchers also noted that lemon balm had a positive effect on chemical receptors in the brain and pieces of brain tissue affected by Alzheimer’s. Dr. Elaine Perry from the Medical Research Council’s unit at Newcastle General Hospital said that lemon balm extract as sedative works. But only the dried leaf enhances memory. The more you take, the more it works. She also said that they believe that it could be a helpful adjunct to conventional treatment for Alzheimer’s disease. Lemon balm due to its high content of antioxidants helps balance blood sugar levels. It is loaded with rosmarinic acid and eugenol, which support a healthy brain. 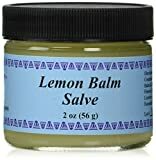 Due to its antiviral properties, lemon balm can even be used to heal cold sores. It also reduces symptoms of stress related herpes outbreak. Phyllis Balch, the certified nutritional consultant, in her book Prescription for Herbal Healing, notes that lemon balm reduces bu half the time needed to heal cold sores. To get all the lemon balm benefits, make a lemon balm tea using the dried leaves. It has both lemony and minty flavor. Allow it to steep for 10 to 15 minutes for maximum results before drinking. Drink a cup and apply it directly to a cold sore using a cotton ball, or both, several times each day. Lemon balm is also very effective for aches that accompany illness like the flu and for relieving muscle pain due to its antispasmodic action. It also helps to relax the body and decrease muscular spasms. Whether you suffer from bloating or gas, indigestion, lemon balm is very helpful as its essential oils help soothe the gastrointestinal tract. For heartburn, mix it with some dried peppermint leaves for the best results. Lemon balm benefits for skin conditions are long known. Thanks to its anti-inflammatory and antibacterial properties, it can also help to heal, calm, and soothe the skin. It may also be especially effective for acne as well as for sunburn. Two of its compounds, ferulic acid, and caffeic acid, provide protection against UV radiation-induced skin damage. Lemon balm works as a natural bug repellent and is a great alternative to chemical-filled, toxic sprays. So, grow your own lemon balm plants and you will have an endless supply of bug repellent. The herb is loaded with a compound called citronellal. It gives the lemony flavor and aroma which insects find so unpleasant. Just rub the leaves of the plant on your skin and you’ll keep mosquitoes away. Apply it on your arms, around the ankles, and other areas most vulnerable and exposed to bug bites. Combine it with olive oil and it will be easier to spread. 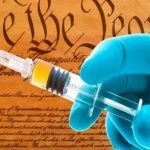 The most important is that it is completely safe for your kids too. As we mentioned before bees love this plant. So, by organically growing it in your garden you’ll help restore the bee population. Bees are responsible for pollinating 80 percent of the plants on our planet and they are the world’s most valuable pollinators. That means one out of every four bites of food we eat is due to the hard work of bees. Without them and without their hard work our life as we know it, will be severely altered and food supply dramatically decreased. With the introduction of genetically modified crops and powerful pesticides, bee colonies are quickly disappearing. That’s just another great reason to do your part and grow lemon balm. Carmelite water is one of the most famous concoctions made of lemon balm. Its recipe was created by Carmelite nuns 16th century. The recipe was and still is kept secret since it’s creation and is passed down from a generation to generation amongst the nuns. 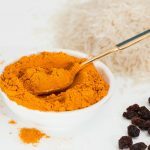 The original recipe is unknown but it is believed that it contained 9 spices and 14 medicinal plants : melissa, lily of the valley, angelica, lemon zest, chamomile, watercress, marjoram, lavender, sage, cowslip, rosemary, Artemisia, thyme, angelica root savory, cinnamon, coriander, Gentiana root, green anise, clove, nutmeg, fennel, and sandalwood. It is a medicine for treating increased heart rate, anxiety, depression, fear and nervousness, migraine, impaired memory, tension, fatigue, night chokes and fainting.Also, it is used for massages and perfumes. Close the bottle tightly and leave it in a shade for another week. Then filter the mixture and keep it in a glass shaded bottle. Take one or two spoons a day before breakfast. This article appeared first at Health TipsNow and appears here with permission.